From the dawn of medicine, medical practitioners have known that the body and the mind are interconnected and exert mutual influences on each other. Hippocrates understood that health involves a balance between body and mind. Those engaged in medical hypnosis are well aware of the mind’s ability to influence the body and to lend support to medical treatments, and they implement this ability in their practice. Yet hypnosis is a complex and time consuming process, requires training and specific certification and in some places even special licensing. Nevertheless, due to the stress and anxiety accompanying complex medical conditions, patients often find themselves in an exceptional mental state. This state leaves them more easily affected by what medical personal say in their presence. This influence can have a placebo (positive) effect or a nocebo (negative) effect. 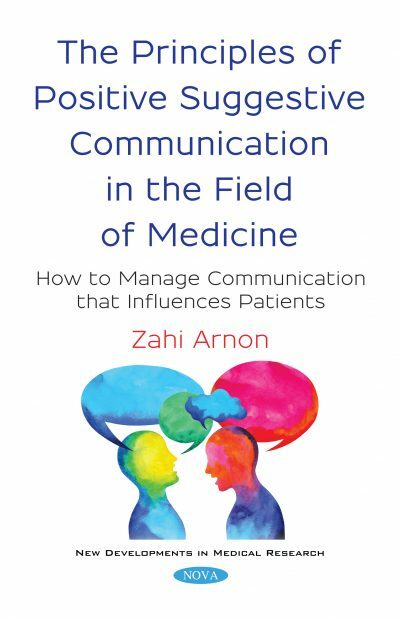 Based upon the principles of positive suggestive communication, this book emphasizes the role of formulating wording in order to create a positive and healing effect while considering the patient’s exceptional mental state.